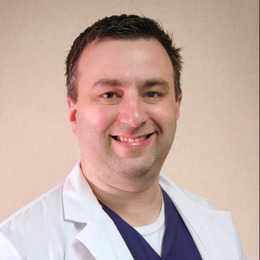 Dr. James Hargrove was born in Missouri and raised in Arkansas. He graduated in 1990 from the University of Arkansas where he received a bachelor's degree in Chemical Engineering in 3 1/2 years. Upon graduation, he moved to Houston, TX and worked as a process engineer designing chemical plants for 3 years with S&B Engineering. Subsequently, he moved to Baton Rouge, LA in 1994 and opened an office for Aspen Technology providing chemical process simulation software and services to various chemical plants. In 1997, Dr. Hargrove began working with John H. Carter Company/ControlWorx providing process control consulting services. He decided to retire from engineering in 2004 and pursue a career in dentistry. Dr. Hargrove attended LSU Dental School from 2004-2008. During this time he was elected by his classmates to be the class president for 3 years. He was awarded several faculty selected awards for his work during school including the Eastman Operative Dentistry Award for restorative dentistry, the Brassler Fixed Prosthodontics Award for crown and bridge work, the Orofacial Pain Award for TMJ disorder management, and the Student Leadership Award for leadership and ethical treatment of patients. He was elected to several prestigious honor societies including the Kell's Honor Society and the Omicron Kappa Upsilon dental honor society. Upon graduation, Dr. Hargrove worked briefly in Covington, Louisiana while he sought to establish a practice in the Baton Rouge area. In December of 2008 he acquired the practice of Dr. Galen Crawford and in March of 2009 he acquired the practice of Dr. Martin "Sonny" Bonacorso where he now works full time after merging both practices. Additionally, the Baton Rouge practice of Dr. Stephen Picou was acquired in March of 2010. He is an active member in the Academy of General Dentistry (AGD), the American Dental Association (ADA), and the Greater Baton Rouge Dental Association (GBRDA). He was selected by his peers to be the president of the Greater Baton Rouge Dental Association for 2014. He, his wife, Leslie, and their three children live in Baton Rouge and are actively involved in volunteer work in the greater Baton Rouge area. Dr. Hargrove's hobbies include spending time with his family, golf, chess, skiing, and the occasional fishing or hunting trip.